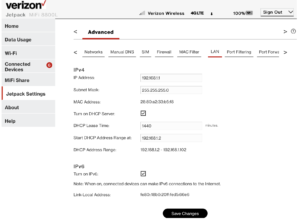 Early March 2019 Update: Word is out that Verizon may have made some adjustments on their end to fix some of the issues. Many of our members have reported in significantly improved reliability. 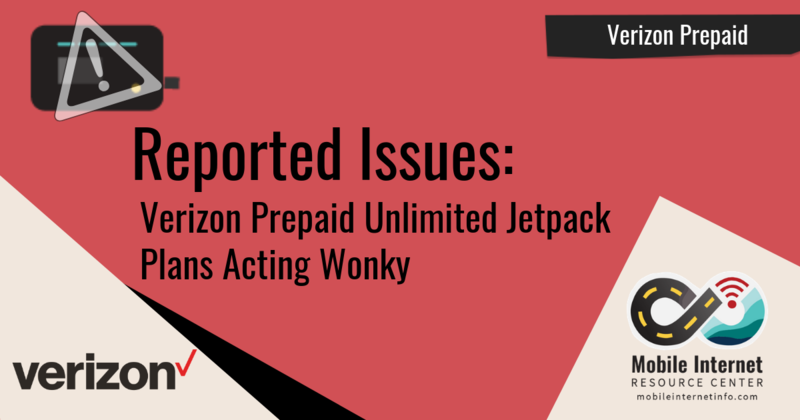 Since early January, we've been hearing numerous reports of issues with Verizon’s Prepaid Unlimited Jetpack Data Plans (pDUP) that are driving some Verizon customers bonkers. 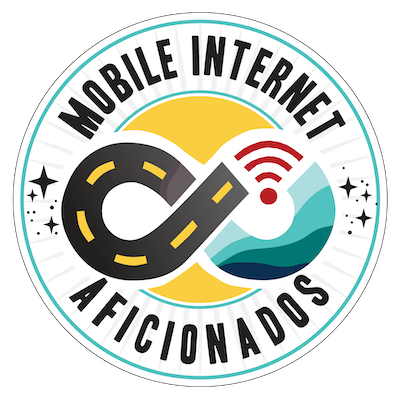 Typically, these reports involve the Jetpack device displaying "Data Usage Not Available" and the network connection dropping, often requiring a rebooting of the hotspot to remedy. Many of the reported drop-outs are happening when folks are streaming videos or doing other high bandwidth activities, and some have noticed regular patterns based upon the amount of data that they have used. The drop-outs are noticeable and annoying, happening only occasionally for some users, and frustratingly frequently for others. You'd probably know if you’re being affected if you have had a sudden desire to pull your hair out or yell obscenities at your Jetpack. These drop-out issues do not seem to be device specific. They have been reported with pUDP plans used on the 8800L, 7730L, 6620L, various routers, etc. So for those of you suffering the ongoing 8800L issues - this is a separate beast that may be compounding things. (More on this later). 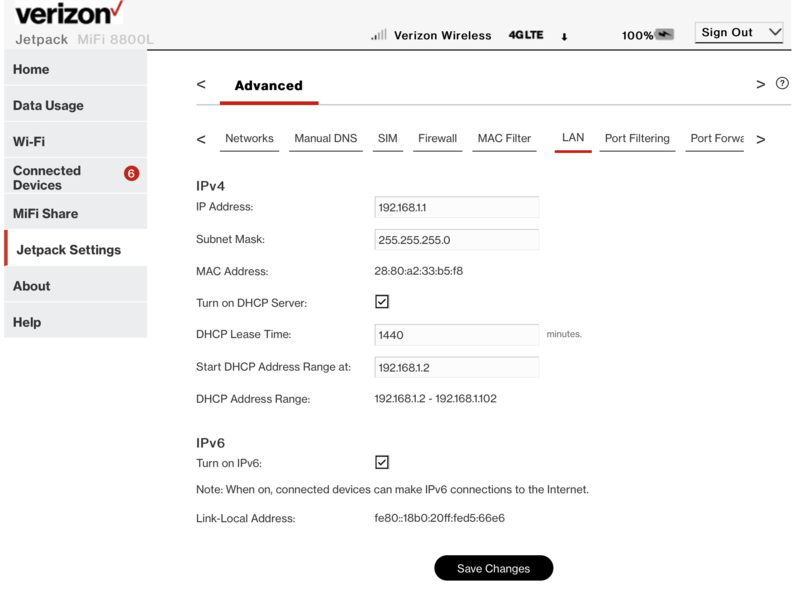 The problem doesn't seem to be hardware related - it seems to be an issue with how Verizon has configured the pUDP lines at the network level. While we wait for Verizon to fix things globally - we have a few potential workarounds that might help ease your frustration. If you’re suffering through these drop-outs, we do have a couple of suggested solutions that seem to be working for some. We've had a number of our members report that having a Verizon rep remove their line completely and then start a new line on their account has solved the issue. Sometimes even closing your prepaid account and starting all over works even better. We can't say for sure if this will work - but we're getting numerous reports from people who have suffered with this issue reporting success. Contact Verizon Prepaid via phone (888-294-6804) or in person. Tell them what you’re dealing with - briefly. They may be confused or give you mis-information on throttling on this plan (there is none). Ignore that. Ask them to completely remove the line and device from your account. Then, have them re-provision a prepaid Jetpack unlimited line and your device to your account. Some folks have even gone so far to request a new SIM card and account #. This may take them some time to do - but don't give in. 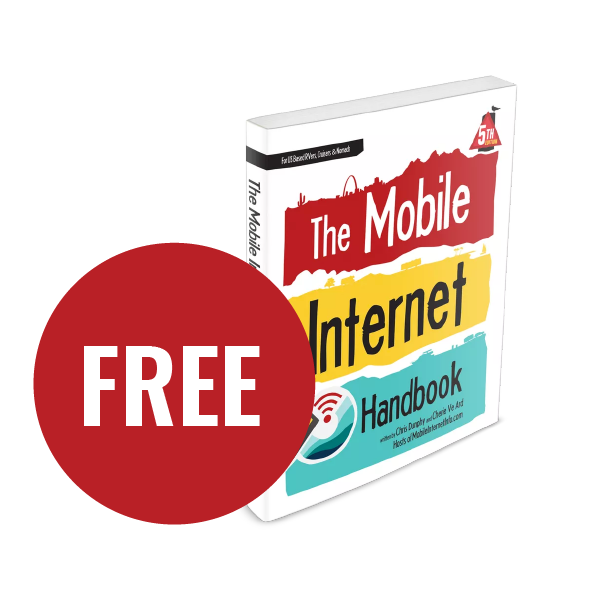 Fully reboot your hotspot device. Monitor for any further drop-outs/issues. If that doesn't work, you may just want to have Verizon close your account and have a new one set up with a brand new SIM card. Remember - there are no activation fees with Verizon Prepaid accounts, so there should be no fees or loss of credits when you do this. However there is no proration on prepaid plans, so if you do this mid billing cycle you will lose some of your prepaid month. So Might be Going On? 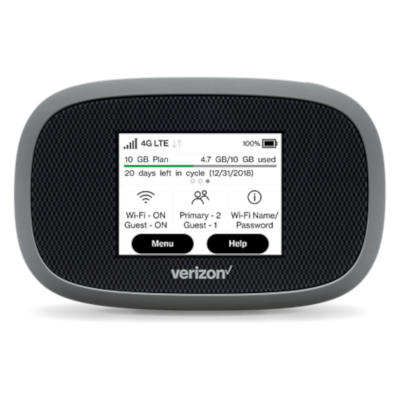 Back in early December 2018, Verizon Prepaid changed the terms of service on these Jetpack unlimited plans, reducing the video throttle from 1080p to 720p. For any new accounts acquired after the change these terms took hold immediately. But, if you had activated your line before the 720p video streaming throttle went into effect, the new terms only began taking effect as billing dates rolled over in January. These accounts (the pre-throttle accounts) seem to be more prone to this issue - hinting that the process Verizon used internally to change the network rules might be the culprit behind the disconnects. There's an active thread on Howard Forums regarding this issue, which you can view here: Howard Forums Thread. Chris Price, a frequent well-informed poster on a subreddit we track, posted over the weekend that opening a formal trouble ticket with Verizon might prompt changes to your account that could solve the disconnect issue. You need to call Prepaid support (888-294-6804), explain you are experiencing the "Prepaid Jetpack Disconnect Bug" and insist on getting passed up from regular customer support to advanced support where an official trouble ticket can be created. Verizon advanced support is encouraging people to keep submitting tickets, and each customer with this issue will need to get a trouble ticket number assigned to be sure to get fixed. Don't let mis-informed lower level support reps stop you from getting a trouble ticket assigned - if you have to, hang up and call back. You can disable IPv6 support on most Jetpack's under the Settings / Advanced / LAN portion of the web control panel. Chris Price also posted a second thread sharing a discovery that may or may not be related - claiming that prepaid Verizon plans aren't fully compatible with IPv6 (the behind the scenes "internet protocol" that defines how data is passed around on the cellular network), particularly when it comes to dealing with plan renewal alerts. This issue isn't causing network dropouts, but it is locking some people out of the network every month when their plan renews and Verizon attempts to redirect them to a page to pay for more prepaid usage. Disabling IPv6 solves this problem. If you don't know what IPv6 is you very likely will not notice any impact from doing this, so it is worth a try. Here's the thread: PSA: Prepaid Jetpack Plans "Are Not IPv6 Compatible Yet"
The new flagship 8800L Jetpack has ongoing issues. Please note, this issue pUDP disconnect issue is independent of the ongoing 8800L freezes/reboots that started occurring in November shortly after the device was released. The reboot and drop-out issues on the 8800L device occur regardless of what Verizon plan is being used. We are actively in touch with the 8800L's manufacturer Inseego to diagnose these issues. They have told us that they are working on a fix and some of our members may soon have access to a beta release of a potential fix to test later this month. If you're on a pre-December pUDP using a 8800L, you may be subjected to a double whammy of wonky right now. Hopefully resetting your account as documented above might reduce the pain. We're hearing reports of users of Verizon's Prepaid Jetpack Unlimited Plan who are experiencing service drop-outs, especially during high bandwidth activities. While we don't have an 'official' solution to the issue yet, and we are actively following potential fixes.